Brown Messiah here again with another Competitive Wrap Up! Firstly, I entered this tournament with few hopes of winning and just looking to have fun. I knew that Bard Blitz was going to be the team to beat which I will admit I hate. I plan on writing a whole article about why I dislike this team so much but when it all boils down; it is simply non-interactive. You’re basically telling your opponent, “I don’t care what you are doing because if all goes according to plan, I win and you lose.” Just not so fun in my humble opinion. 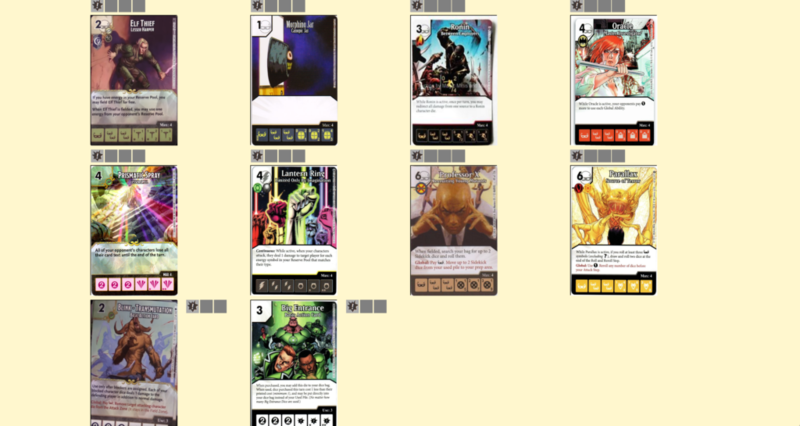 Essentially I ended up running an old school Hulk control team. I hadn’t played with Hulk – Green Goliath for a long time and I really wanted to. I even wore my Hulk v. Ultron SLC Comic Con T-Shirt for the occasion! Like I previously stated, this is very much an old school approach to control. 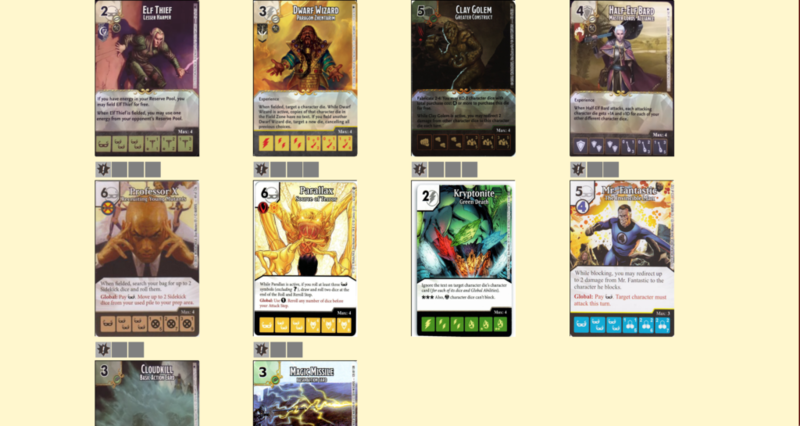 The basic game plan here is to establish a board with Hulk and Constantine, get into Rarecrow to control any big threats they have, clear their board with Hulk and swing in for death. For all of my victories it pretty much went exactly like that. Now I’ll go ahead and admit that with this tournament behind me, I feel like I performed somewhat poorly. Don’t get me wrong, getting to the top 8 is great! However, with how long I have known my team and how it plays; I didn’t play it to its full potential. There were some games I simply made poor decisions. Round one in swiss is the best example of this. This is our very own Double Burst contributor Zack. I have had the pleasure of playing Zack a great many times in the past. He is a great player and knows his stuff. We’ve played many times in the past, both in competitive and casual events. We have both gone to blows with each other in the Field Zone and have both defeated each other. I’ll admit that he has beaten me more times than I have him and respect him in that regard. This match was no exception. As I previously mentioned: poor decision making. This game was just a disaster after turn 3. Zack had Wonder Girl – Cassie Sandsmark on the field and had his Ring of Magnetism – Action Attraction ready to go next turn. I was able to Polymorph Hulk in at that point and, for whatever reason, in my infinite wisdom decided to target his Cassie with the Giant Spider global. Ummm….. Kaaaayyyy…… Simply put, I just forgot what Cassie did. Didn’t think about it and was too focused on what I was trying to accomplish with my own team that I just forgot that his card, you know, does things. Another problem I think that happened was that I was trying to rush things when I shouldn’t have. He proceeded to get Jocasta and forced my Hulk to block while boosting him as well. The game was pretty short and I felt so stupid for the Cassie play. I just knew that if I slowed down I could make an adjustment and rally. With my first game as a loss, I ended up in the loser bracket. Which, I didn’t see as too awful. I knew of at least 3 types of Bard Blitz teams and a total of 4 of them being played and I’m fairly confident all of them had won game 1. So being in the loser’s bracket ended up helping me because I knew I wouldn’t face one. Adrian is a young one from Eagle Mountain just south of Sandy where the con was. If memory serves me correctly, he had told me he and his dad had been playing for about 6 months and really enjoyed the game. This game went exactly according to plan. Got Hulk out with Constantine on turn 3 and was able to counter his Falcon with Constantine until I was able to establish Rarecrow two turns later. He didn’t really have many threats that I was too concerned about, or rather, any that Hulk couldn’t deal with, so I was pretty liberal with my Rarecrow. I was stealing his characters and attacking with them and would just bank on my luck that I would reroll him the next turn. Eventually I was able to get Oracle and one more Rarecrow to clean up the game. Adrian played a good game but was a bit unlucky on some of his rolls. He is also a young player but has a lot of potential and if you’re reading this man, keep on playing and you’ll find your groove. Also remember to have fun no matter what! Josh came in from Clinton, about 30 minutes north of Sandy. I found it odd that he played with only 7 cards but I actually believe that he didn’t have a matching die for his Blue Eyes so was unable to play it (Damn you Yu-Gi-Oh serial numbers!!!). His team was very similar to mine but with some obvious differences like Black Widow – Tsarina and Wolverine – Canucklehead. He did mention that Tsarina was his favorite card so I can respect him for sticking to his roots. Besides, it’s not like she is bad at all! This game was almost exactly like Game 2. 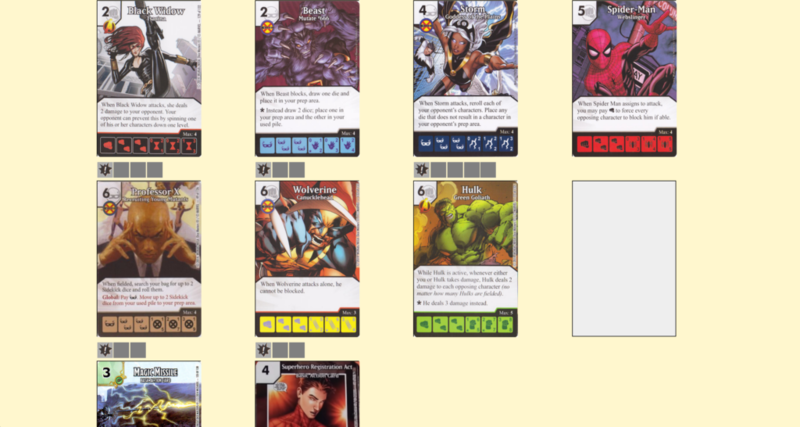 My board was established, and I stole his Hulk first and swung for 8 after clearing his field with my level 1 Hulk. 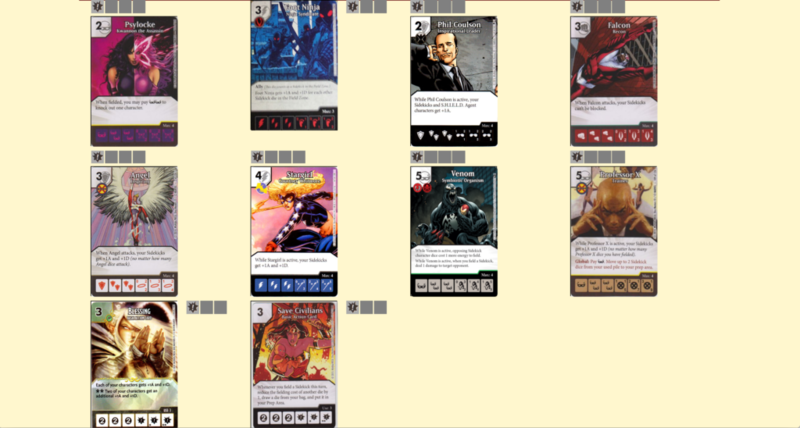 After that I did play a bit defensive and stole his Wolverine at one point on his turn to defend. It was only a matter of time till I was able to steal his Hulk again and swing for lethal. I didn’t quite catch where Buck was from, and alas I completely forgot to get a picture of his team, but I do remember that he beat me with the rare Nova from Avengers vs X-men. His team was similar to Michael Plumb’s team, who was the winner of the WKO2 back in May. I was able to establish my board but this game also suffered from poor decision making on my part. He would swing with Nova and ping with Magic Missile. I had the opportunity to KO his Nova with Hulk after he had hit me for 6 ping damage but for whatever reason I didn’t and blocked with a sidekick. I know. Stupid. And looking back now I can’t really think of a reason I didn’t just kill him. I probably could have turned it around and maybe he would have whiffed. All this is easy to say in hindsight though and in the end I beat myself. This game was against our very own Ktdata after the original pairings had to be remade as my opponent and her brother had dropped but, it was the most fun of the whole tournament. Now that being said I was a bit sad I had to play Kevin because if I wanted to get top 8 and salvage my run I’d have to beat him. Kevin is my Mysterio Bro! A story for another time, but suffice it to say that we haven’t really ever had a bad game. We both have fun and generally laugh a lot so you better believe this game was no exception. He was able to get his Ring out. I got my Hulk out. We shenanigan’d and hoodwinked, bamboozled and flimflammed each other the whole game both playing to win but in the end Hulk smashes Elf Thieves. 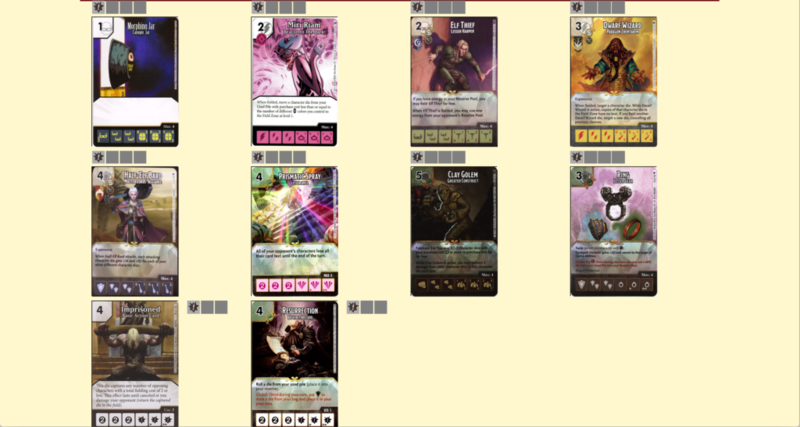 Again this game it was standard win con: Hulk+Constantine, get Oracle to slow him down and establish Rarecrow control until I can swing for lethal. And of course even with Parallax on his team he still had a rough time rolling characters or now referred to as “A Kevin.” We both had fun and a great time. Now these are the actual correct standings. With Alyson as an exception since she made it because Josh had to leave. I’d like to remind you what I called this tournament, The Bard-room Blitz! And this is why, of the whole top 8; four teams ran a Bard in it. Half the top 8 consisted of some version of Bard. That being said, only one team used the Bard as a finisher and wasn’t an ACTUAL Bard Blitz team (Mike’s team. Which still got him top 4). My point is that this guy (girl?) is just overpowered. Two of the teams (John and Alyson) were an updated version of the Canadian Nationals teams; yet more traditional Bard Blitz (Miri, Jar, Ring, Dwarf Wizard, Golem), while the third (Brock) was the Canadian Nats team. We all couldn’t help giving Brock a slight jest for net decking the team. That didn’t mean he didn’t play like a boss! I played him in the first round and he brought my run at this Regional to a halt. I just realized the Pokémon connection here. Not only is his name Brock but he ran a Clay Golem, A ROCK CHARACTER!!!! The flavor is too good here! I knew that I was pretty much squanched out of the gate and yet I had a really good game 1 against Brock. I was able to go first and got the ball rolling. If memory serves me correctly, I was able to get Oracle out turn 3 which slowed him down immensely. I followed up with Hulk which bought me some time. Constantine came a little later as he was stubborn and didn’t want to roll a character face on his first go round. One thing I had a problem with was getting sidekicks to poly characters in. So bad that it took me getting my Rarecrow out to steal his characters so I that I could poly in my characters. Brock started with a bunch of Kryptonites and Elf Thieves to steal my energy and quickly followed with his Dwarf Wizard. Eventually he got them both on to the field and started to Fabricate his Golems protecting his Wizard. 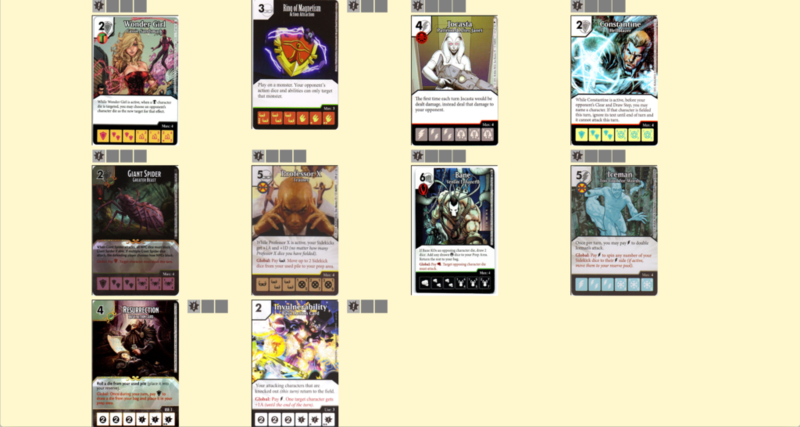 With Constantine I had to make choices on if I valued ramp more than the board. This is where my mistakes came into play. Where I should have taken ramp, I valued my board more and vice-versa. Oracle allowed me a little bit of recovery time, but what also helped was that Brock couldn’t roll a shield to save his life. In the end he just had enough characters to get past my characters for death. Game 2 was a bit quicker. He actually was able to roll a shield and I decided to use Rarecrow to help against that. Unfortunately I wasn’t able to get Oracle out to stall out and the game was over at about turn 8 or 9. I still take pride in how long I was able to stall out against this team and am glad I finally actually got to play against one as Bard Blitz is sooooo outside of our local meta. Brock went on to beat our KO King Russell in the next round and ended placing 2nd for the whole Regional. He played John in the Finals who, as I mentioned before played a modified traditional Bard Blitz. His list is right here. In conclusion, this was a great tournament no matter what. Everything ran more or less smoothly with some exceptions with people dropping but nothing terrible. 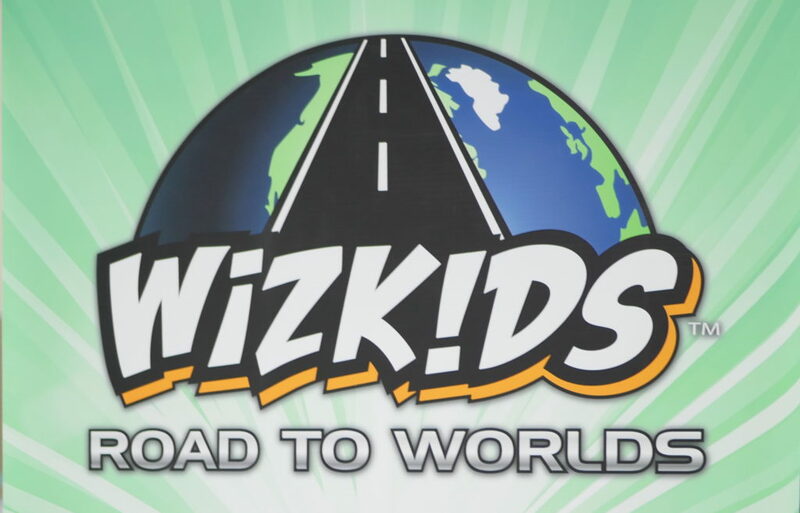 A HUGE thanks to Wizkids and Salt Lake Gaming Con for hosting and running the tournament. While I only played against the one Bard team I am glad our local meta was able to play against these teams. Hopefully this will generate innovation and help people come up with some new ideas about how to make the game better. As we can see Bard Blitz continues to be the strongest team out there. While I don’t care for the team, I know that it is a powerful team and will most likely be the one to beat at this year’s National Championship and Worlds. I hope to be at Origins to try and qualify for Worlds but either way we’ll be covering it if we make it there. 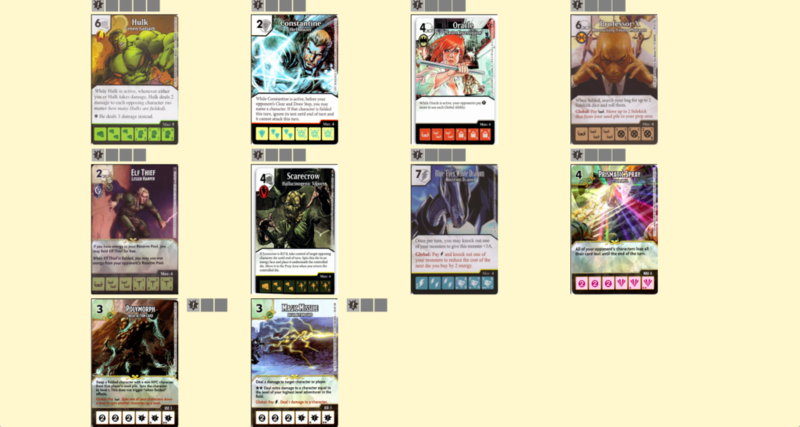 I will also be working on an article of a critique of Bard Blitz and breaking it down. My biggest gripe with the team is having Imprisoned on it. Simply put, it just makes no sense other than the mirror match, but that is a subject for another time. Thanks for reading and we’ll catch ya next time!